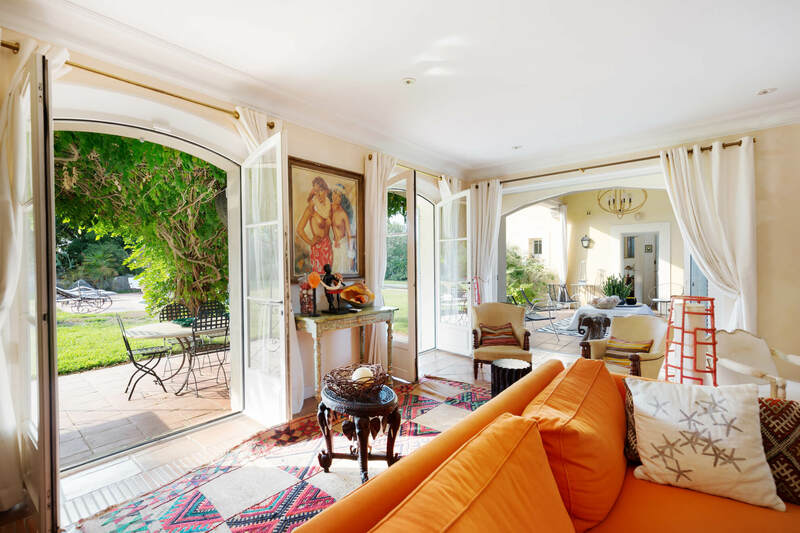 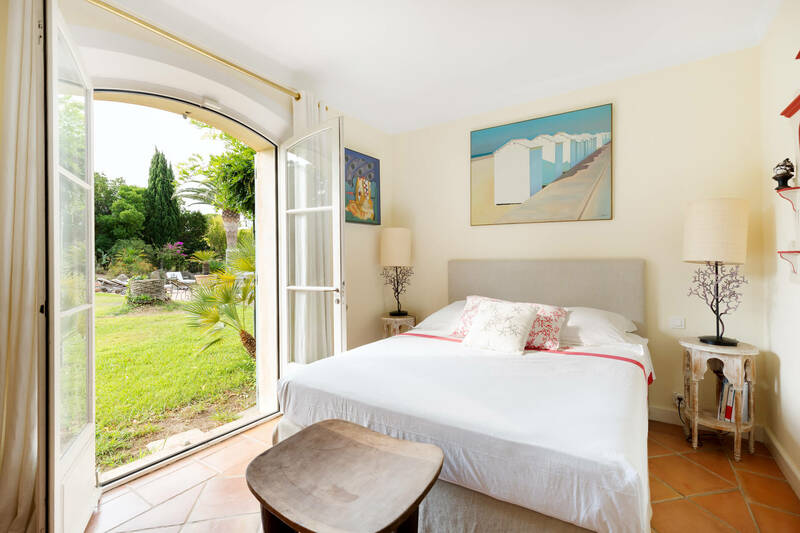 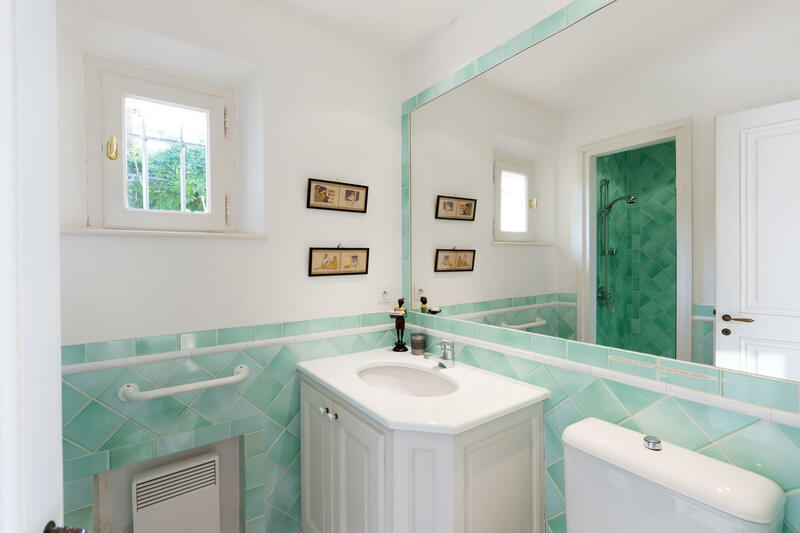 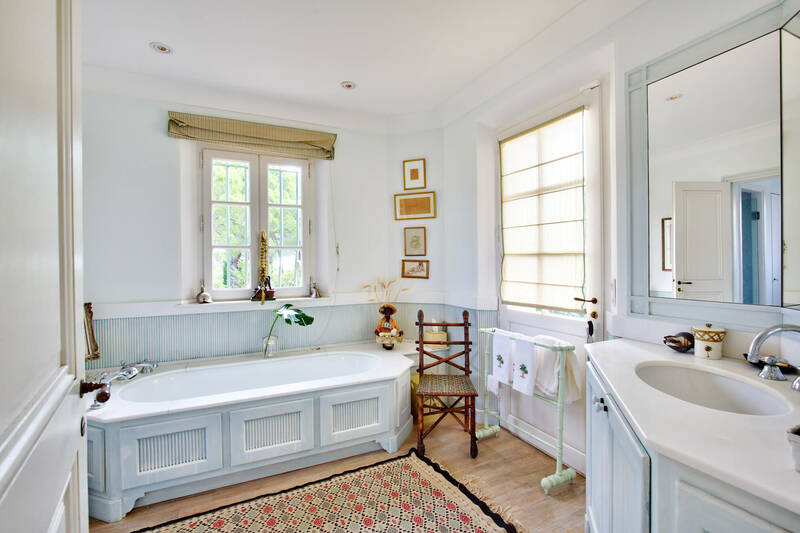 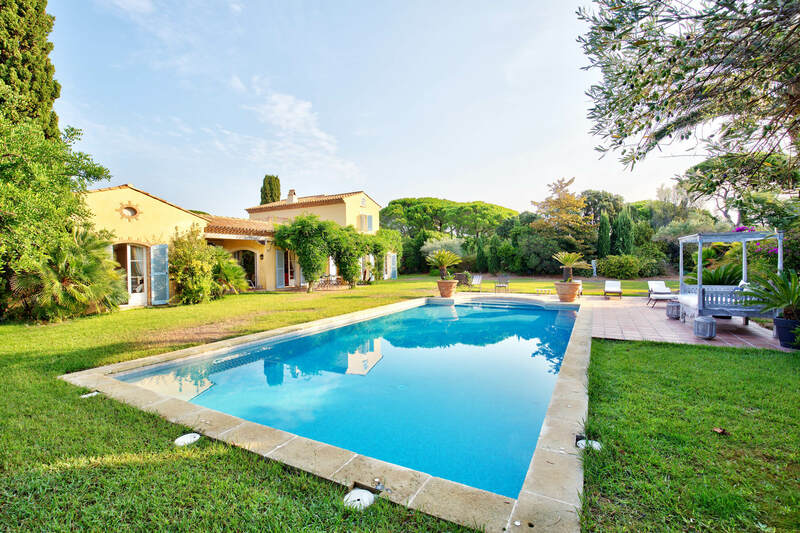 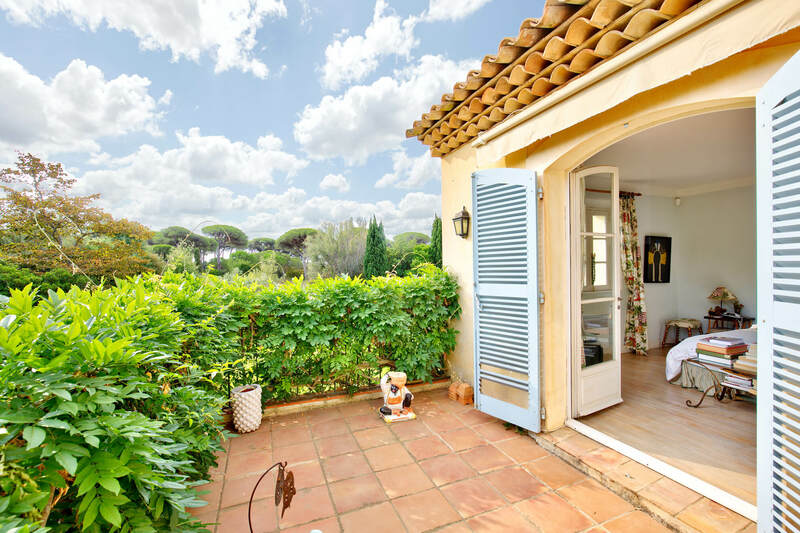 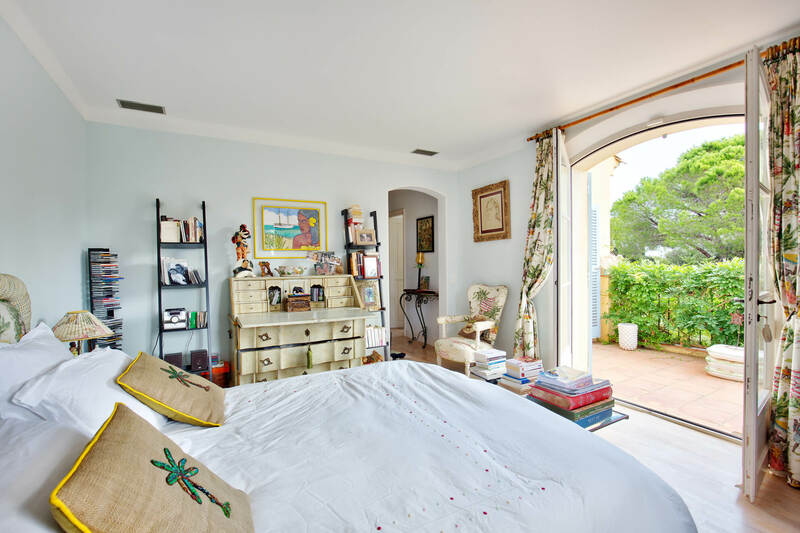 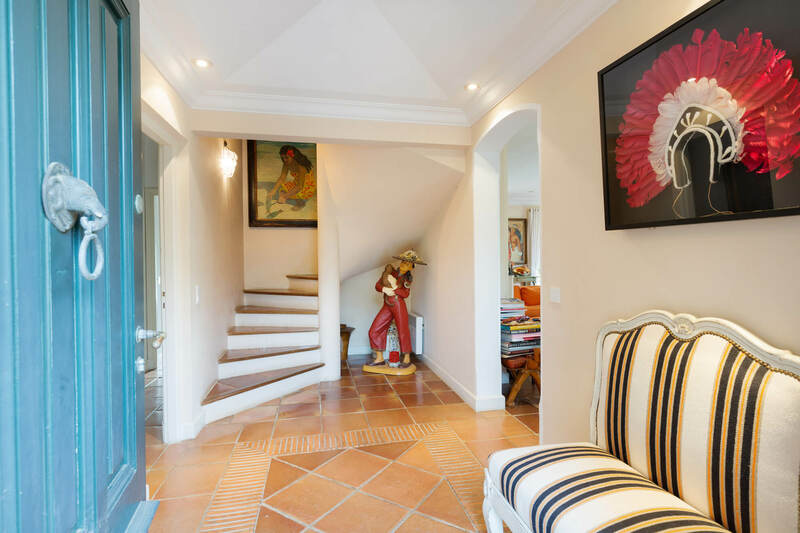 Aurora Villa in located in a very quite location overlooking its own vines with a large expanse of garden with lawns, just 4 kms from the centre of St Tropez and Place des Lices and just 400 metres walk to the beach (8 minutes) which makes this is a perfect family holiday villa. 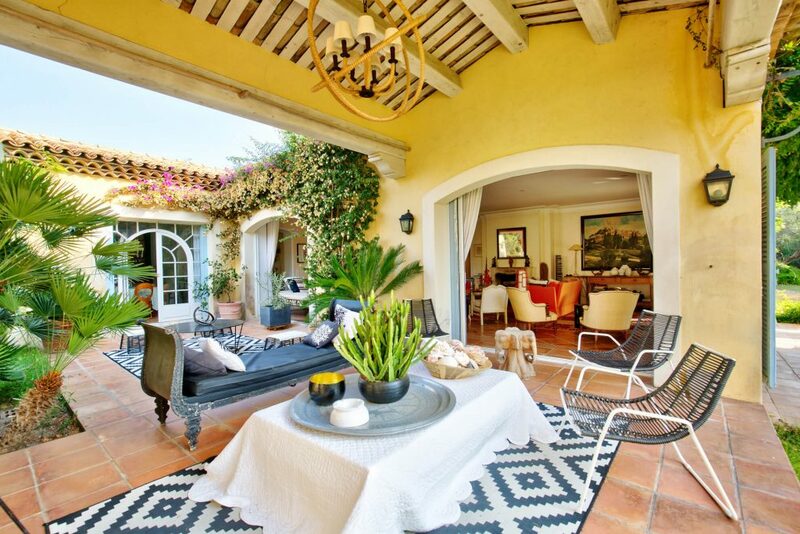 The villa, south facing, offers an easy open-plan layout. 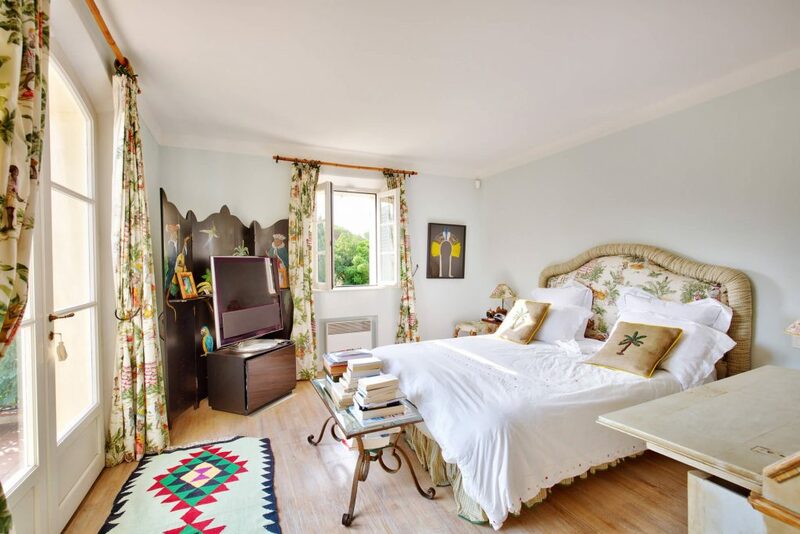 Furnishing are of the highest standard. 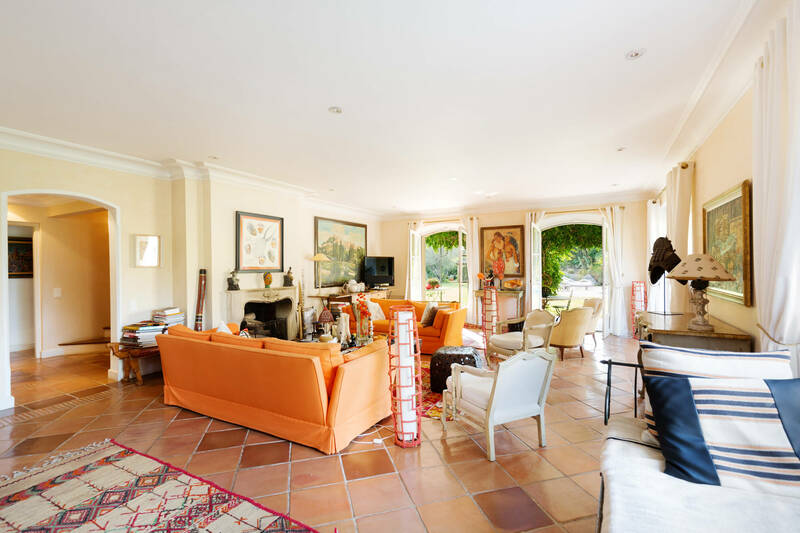 It consists of an entrance hall, with a gents cloak room with WC, a large living room bright and spacious with ample sitting area TV, and open fire place with French window to the garden and two large bay windows looking out to a covered terrace. 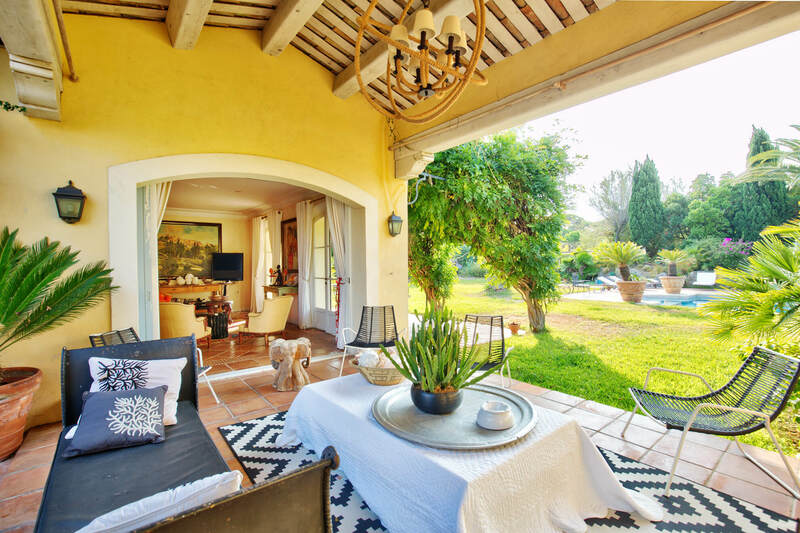 4 double bedrooms, a single and a master complete the layout of the villa that is composed of a main building and an annex. 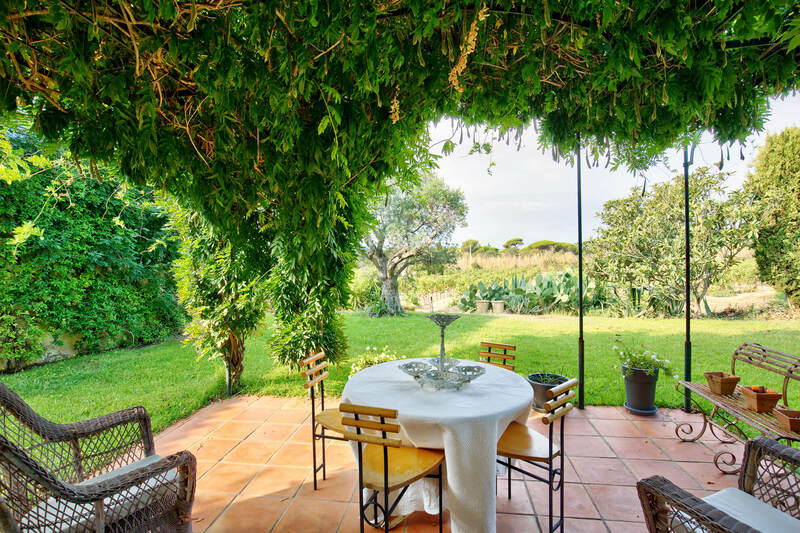 The house can accommodate up to 10 guests. 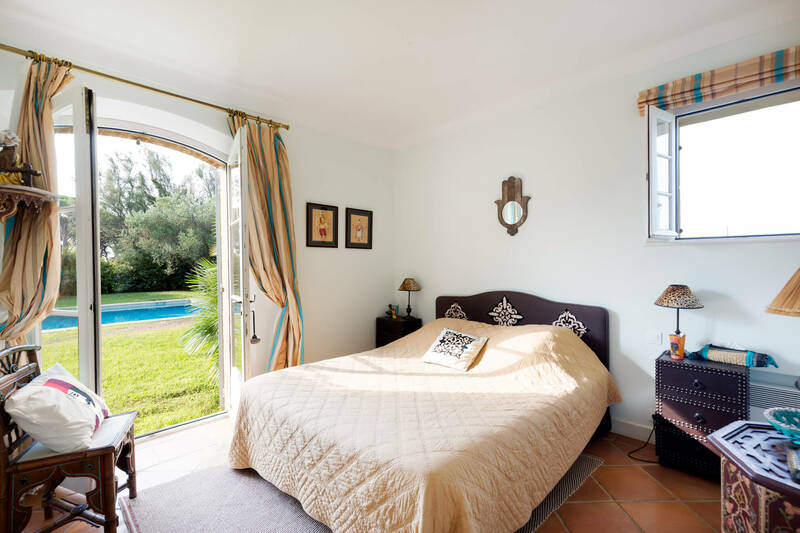 You are just 8 minutes walk from the beach, quicker going to the beach as the return is up a gentle slope! 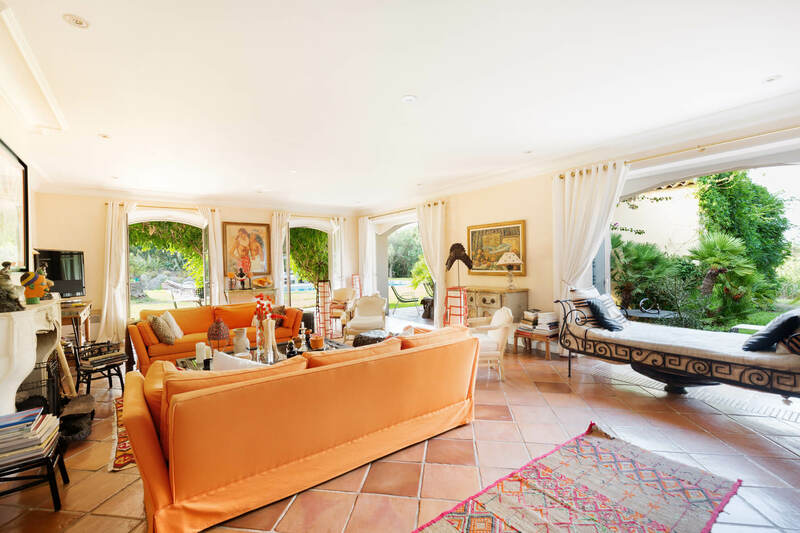 This villa is perfect for a family holiday but with very easy reach to the centre of St Tropez just 5 minutes drive (avoiding all the traffic) where there are many restaurants, cafes, including many exclusive boutiques for everyone need, as well as a large colorful market on Tuesday & Saturday.